Gina Waldman is a survivor. Born Gina Malaka Bublil in Tripoli to a family that had lived in Libya for centuries, she was persecuted, nearly murdered and brutally expelled from her homeland in 1967, all because she is Jewish. She is one of nearly a million Jews who were forced to flee their homes in Arab lands from 1948-1970. As a young child she recalls the adversity she faced in going to school in an Arab country. As the hatred accelerated, a dozen years later, in 1967, Regina and her family fled to Italy, and she eventually immigrated to the United States, where for the past 35 years she has dedicated herself to the cause of freedom and the defense of human rights. 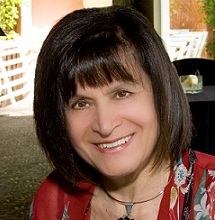 Waldman’s accomplishments are legendary and include winning the prestigious Martin Luther King Jr. Humanitarian Award and testifying in front of the UN Human Rights Council. Gina has also testified before the US Congress Human Rights Caucus as an expert witness. As Director of the Bay Area Council for Soviet Jewry, Waldman was instrumental in winning freedom for thousands of Soviet Jews like Anatoly (Natan) Sharansky. Regina worked closely with Nobel Peace Prize winner and human rights champion, Andrei Sakharov. Waldman also fought human rights abuses in Argentina and Chile, during Augusto Pincohet’s regime. In the early 1990’s she also helped in the resettlement of Muslim refugees from Bosnia to the San Francisco Bay Area. Together with Joseph Abdel Wahed and other committed Mizrahi activists, Waldman co-founded JIMENA (Jews Indigenous to the Middle East and North Africa) in 2002 to bear witness to the suffering of other Jewish refugees from Arab lands. Her own personal story adds much needed perspective to any discussion of the Middle East.